Honda hasn’t missed a beat with the new 2016 CR-V, a vehicle whose audacious design, durable ride, advanced safety systems, and spacious interior makes its arrival on the automotive scene music to our ears. But the Honda CR-V truly excels when it comes to offering state-of-the-art audio and information technologies. Outfitted with the very latest from Silicon Valley, the Honda CR-V makes available a range of sophisticated devices that promise to give you access to relevant travel information, smartphone apps, and a trove of musical options to make the drive quicker, safer, and much more fun. With its 7-inch Display Audio System, the CR-V makes your audio experience as easy as swiping your finger across a screen: build playlists, make song selections, and pump up the volume with the simplest of operations. 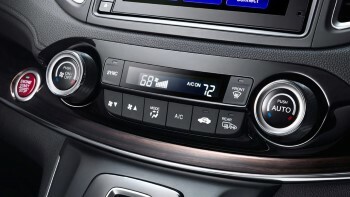 Meanwhile, the CR-V’s Bluetooth compatibility puts even more audio options within easy reach. 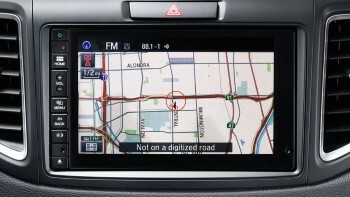 Honda’s Satellite-Linked Navigation System allows you to locate yourself no matter where you are, providing you and your passengers with instantaneous access to routes, information about destinations, and an extensive body of information related to your journey. HondaLink® Next Generation lets you and your passengers stay connected to friends and family at all times, enabling you to plug your smartphone directly into your CR-V, giving you access to its messaging and phone services, among many other things. Finally, with its Dual-Zone Automatic Climate Control System, the 2016 Honda CR-V will ensure that whether it’s winter, spring, summer, or fall, the temperature in your SUV will remain perfectly suited to your preferences. You can explore the next technologies featured in the 2016 Honda CR-V yourself by paying us a visit at David Hobbs Honda, located at 6100 North Green Bay Avenue in Glendale, or by calling us at 888-216-8497. Experience the latest in automobile intelligence with the 2016 Honda CR-V.